Since you likely find the brilliant outfits of stylish civilians as fascinating as we do, we partnered with Pose.com to bring you a street style slideshow of giant proportions. Click through for our favourites, and let us know in the comments which ones you're planning to copy. For even more outfit ideas follow Who What Wear on Pose for fashion inspiration straight from WWW headquarters. Simpleetchic is wearing: ASOS coat, Zalando sweater, ASOS hat. See more ways to wear blue coats on Pose.com. Theaugustdiaries is wearing: Zara scarf. See more ways to wear plaid scarves on Pose.com. See more ways to wear tall boots on Pose.com. Cassandradelav is wearing: YSL bag. See more ways to wear pink bags on Pose.com. See more ways to wear wool coats on Pose.com. See more ways to wear Chanel bags on Pose.com. Vonvogue is wearing: Viparo jacket, Zara pants, Senso booties. See more ways to wear leather jackets on Pose.com. Modernlegacy is wearing: Ray-Ban sunglasses, ASOS coat, Topshop Dress, Daniel Wellington watch, Zara bag. See more ways to wear white coats on Pose.com. Girlalamode is wearing: COS coat, Acne jacket, Givenchy bag. See more ways to wear leather pants on Pose.com. See more ways to wear blue blazers on Pose.com. See more ways to wear trench coats on Pose.com. See more ways to wear shearling coats on Pose.com. Thefashionsight is wearing: Topshop vest. See more ways to wear black booties on Pose.com. Epiphanniea is wearing: Boohoo cape, ASOS blouse, Dorothy Perkins boots. See more ways to wear white blouses on Pose.com. Martapozzan is wearing: Samudra bag, Kikkerland Tech accessory. See more ways to wear fuzzy coats on Pose.com. See more ways to wear cropped sweaters on Pose.com. See more ways to wear leopard booties on Pose.com. Doinaciobanu is wearing: Levi’s jacket, REISS sweater. See more ways to wear denim jackets on Pose.com. Veronicapopoiacu is wearing: Tommy Hilfiger pants, Adidas sneakers. See more ways to wear white sweaters on Pose.com. Karamode is wearing: Zara coat, H&M hat. See more ways to wear red coats on Pose.com. Theaugustdiaries is wearing: Aritzia jacket, Aritzia sweater. See more ways to wear turtleneck sweaters on Pose.com. Helenisfor is wearing: Ralph Lauren top, J Brand jeans, Rag & Bone booties, J.Crew bag. See more ways to wear leopard bags on Pose.com. Andyheart is wearing: Oyuna sweater, PB 0110 bag, Superga sneakers. See more ways to wear black sneakers on Pose.com. Darlingtwo is wearing: Christian Siriano coat, Forever 21 boots, Brahmin clutch. See more ways to wear denim overalls on Pose.com. Thefashionsight is wearing: Forever 21 coat. See more ways to wear white sneakers on Pose.com. Martapozzan is wearing: Yves Saint Laurent bag, Skinnydip London tech accessory. See more ways to wear blue bags on Pose.com. See more ways to wear midi skirts on Pose.com. Doinaciobanu is wearing: REISS sweater, REISS skirt. See more ways to wear white skirts on Pose.com. See more ways to wear black loafers on Pose.com. See more ways to wear printed scarves on Pose.com. Helenisfor is wearing: ASOS jacket, Zara top, Refind Denim jeans, Chanel loafers. See more ways to wear distressed black jeans on Pose.com. Stylespectra is wearing: Mango dress. See more ways to wear turtleneck dresses on Pose.com. Simpleetchic is wearing: Esprit sweater, Zara pants, Chloe loafers. See more ways to wear cropped black sweaters on Pose.com. Jessankirby is wearing: French Connection sweater, French Connection skirt, French Connection booties. See more ways to wear sequin skirts on Pose.com. Margoandme is wearing: French Connection jacket, Sandro top. See more ways to wear oversized sunglasses on Pose.com. Vonvogue is wearing: Mango coat, Sense booties. See more ways to wear Mango coats on Pose.com. Theaugustdiaries is wearing: Zara skirt. See more ways to wear leopard heels on Pose.com. See more ways to wear black leather bags on Pose.com. Helenisfor is wearing: Gap jacket, Louis Feraud blouse, Liberty of London Designs scarf. See more ways to wear red scarves on Pose.com. See more ways to wear pink coats on Pose.com. 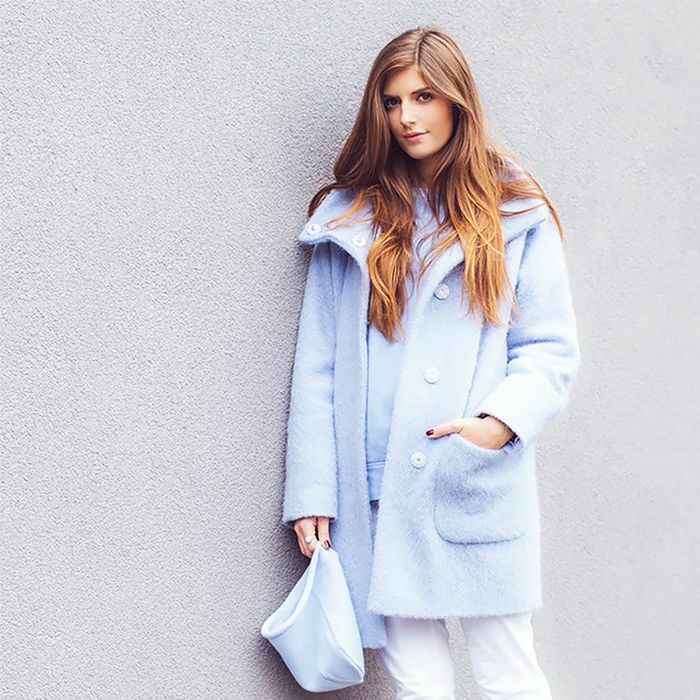 Helenisfor is wearing: J.Crew coat, Refind Denim jeans, Guess heels. See more ways to wear boyfriend jeans on Pose.com. Karamode is wearing: Zara scarf. See more ways to wear poncho scarves on Pose.com. Vonvogue is wearing: Chuu coat, Zara sweater. See more ways to wear pinstripe pants on Pose.com. Margoandme is wearing: French Connection jacket, Cameo top, 7 For All Mankind jeans. See more ways to wear striped shirts on Pose.com. Andyheart is wearing: Isabel Marant coat, Acne Studios jeans, Everlane belt, Zara heels, Mansur Gavriel shoulder bag. See more ways to wear pointed heels on Pose.com. Damselindior is wearing: Ella Moss sweater, Zara scarf, Zara boots. Theaugustdiaries is wearing: Mango blazer, Aritzia dress, Zara scarf. See more ways to wear Converse sneakers on Pose.com. Damselindior is wearing: Janessa Leone hat, Zara vest, LOFT jeans, Tabitha Simmons flats. See more ways to wear black skinny jeans on Pose.com. Helenisfor is wearing: ASOS jacket, Joe Fresh top, Zara jeans, Sandro sneakers, Bottega Veneta bag. See more ways to wear white jeans on Pose.com. See more ways to wear studded loafers on Pose.com.